Nothing says Valentine’s Day more than chocolate. That and drinkware with heaps of hearts in pink and white. 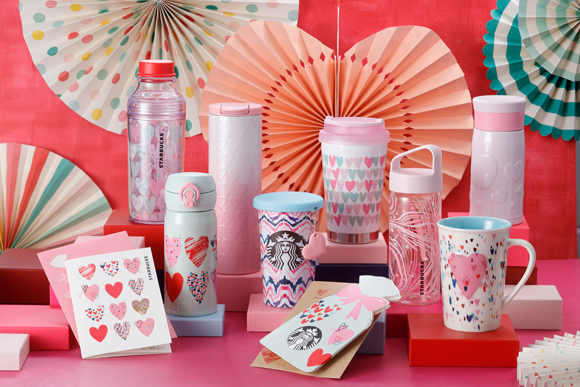 It’s easy to mistaken Starbuck Japan’s latest limited edition collection for the ever popular Sakura collection due to the colours but make no mistake. The range introduced on 24 January is made available right up to Valentine’s Day. 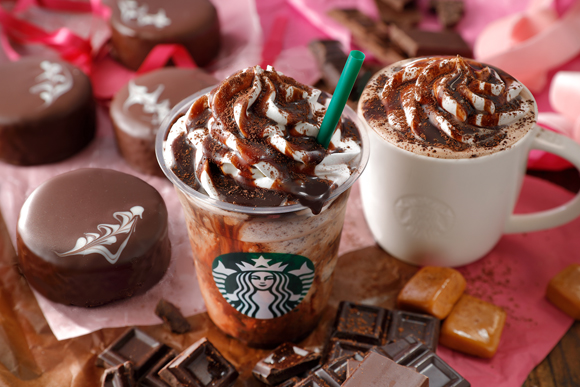 Starbucks Japan is adding two “Chocoholic” beverages to its menu in the runup to Valentine’s Day - the Valentine Chocoholic Frappuccino, made from fragrant coffee chocolate sauce and white mocha with chocolate chips mixed into the dessert drink. To combat the winter chill, Starbucks also has a hot beverage joining its lineup on the 24th, in the form of the Valentine Chocoholic Cocoa, in which the coffee chocolate sauce is combined with rich milk. No chocolate chips here, presumably because they’d melt. A tall Valentine Chocoholic Frappuccino will set you back 540 yen, while prices for the Valentine Chocoholic Cocoa start at 430 yen for a short. Both will be offered only until Valentine’s Day itself, February 14, so if you are in Japan around this time, you have only three weeks to feed your inner chocoholic. Everyone loves celebrating valentine's day, so thought to share these valentine's day quotes for girlfriend so you can bring a smile on her face.